2: On the following page, you will be asked to login to your Whitepages account in order to remove the listing. If you do not have an account, you will need to create one in order to proceed. The reason you need an account is so that Whitepages is not hit with multiple requests for takedowns from bots. On this page, enter the full URL of your profile that you would like to remove. You will need to confirm that this is the correct profile on the following page. 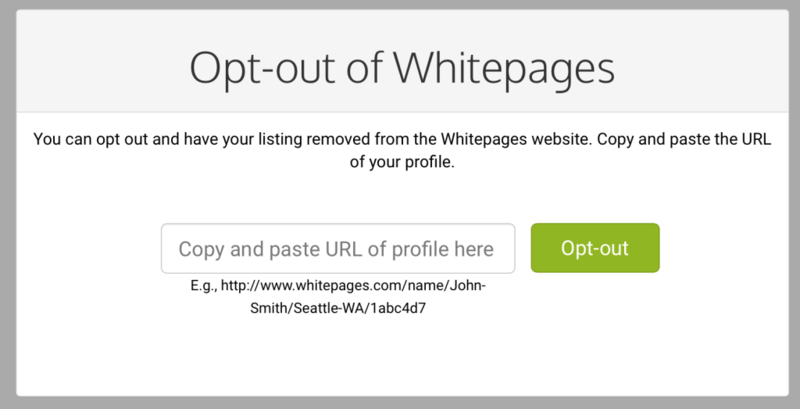 Click on “Remove this info from Whitepages” to proceed. 4: The next page has you tell Whitepages why exactly you want this information to be removed and to leave a comment. In many situations the reason doesn’t matter, but you need to fill out this section regardless in order to continue with the removal process. As you can imagine, this information is sent to Whitepages so that they can figure out why people are trying to remove their information from the service. We recommend that you select the “I just want to keep my information private” option. 5: One of the last steps is the phone call verification. They ask that you enter your phone number into the box and have the system call you so that they can be sure you are the person in question who wants to be removed. 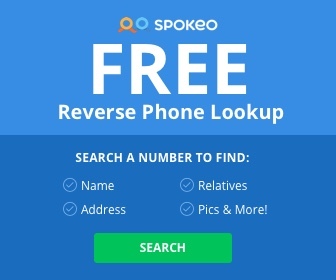 If you provide the wrong phone number that is not related to the profile you want to remove, they will not add your name to the opt-out list. Once you click on the “Call Now to Verify” button, you will be asked to press 1 if you want your profile removed from the Whitepages.com public search. Once you press 1, you’re all done. The profile will be removed shortly from the website, and you can go back to having your public information not viewable to the public on the Whitepages sites. If this helped you, be sure to share with others!